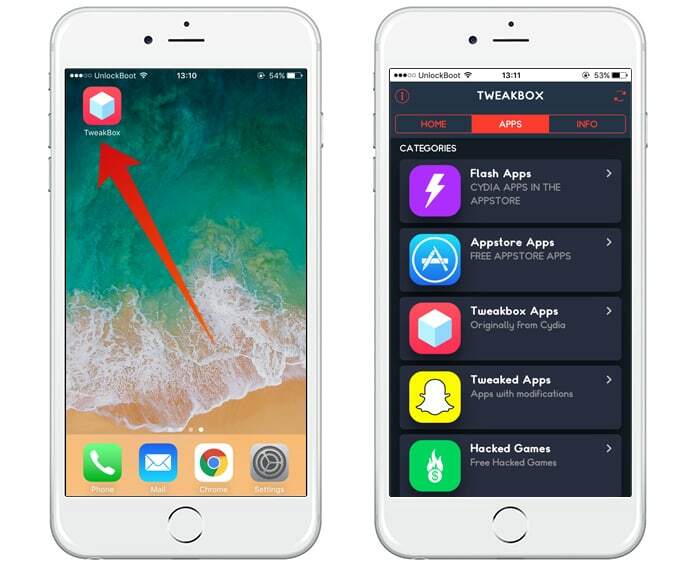 TweakBox is a fantastic app that allows you to install third party apps on your Apple devices without jailbreaking them. We know well that different app updates and tweaks are available for Apple devices. These tweaks are far better than the regular or basic version of the app. Almost every Apple user want to get such app updates and tweaks, but the biggest problem with these app updates is you have to jailbreak your device. But don’t worry! 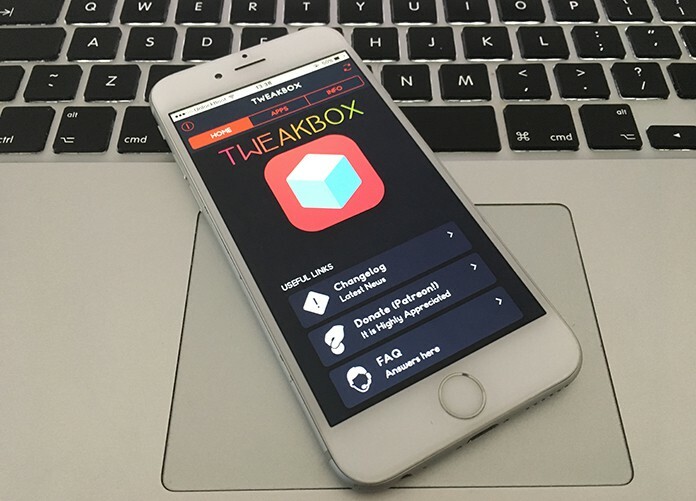 Because today we will show you how to download TweakBox on iPhone without jailbreak. When the tweaks were introduced, they were only available on the jailbroken devices. However, now you can easily install these tweaks on your Apple devices without actually jailbreaking them. You are thinking how you can do it? Well, it is another topic because all you need is launching the TweakBox app after installing, and it will provide you easy installation of third party apps which are not available in the App Store. The TweakBox app has different versions and updates, and they are differently supported by iOS 9.3.4, 9.3.5, 10.0, 10.0.2, 10.2 and iOS 11 version. However, the latest version of TweakBox app is best supported by the iOS 10 with its versions 10.2, 10.3, 10.3.2 and 10.3.3. iOS 11 makes this app a bit larger and difficult to use. However, some bugs and crash issues may work for its proper working. 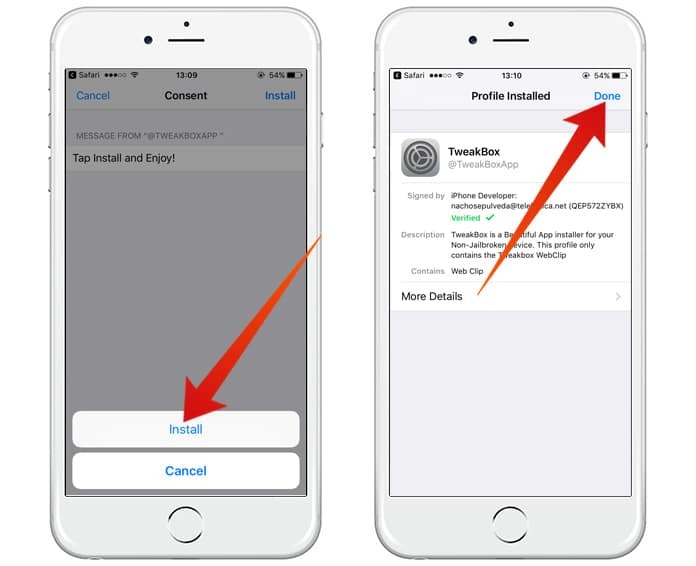 If you are using iOS 11, 11.2.1, 11.2, 10.2, 10.3, 10.3.2 or 10.3.3 on your device, you are ready to download TweakBox app on it. However, don’t worry if you are running the iOS 11 on your device. It will work as well for this version. Step 2: After the website is loaded, click on the Download App button under the TweakBox icon. Step 3: Now you will see the install screen. Click on the Install button which is positioned on the top right corner. Step 4: Now you will have to enter your passcode in order to precede the installing process. Step 5: After the installing process, you will see a Thanks message. Here you will have to click on Done button to finish the process. Step 6: Now you will see the TweakBox app installed on your springboard. Click on the app to launch it. Step 7: You have successfully installed the TweakBox app on your device, and now you can easily use it to install tweaked apps, ++ apps or games. 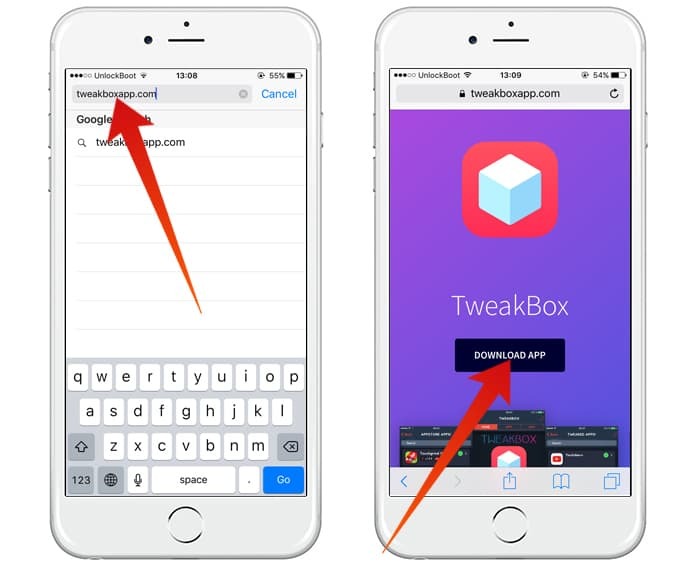 After launching the app, you can easily use it to sideload apps and tweaks on your devices. On the app screen, you will see different options including App Store Apps, Tweaked Apps, and TweakBox Apps. 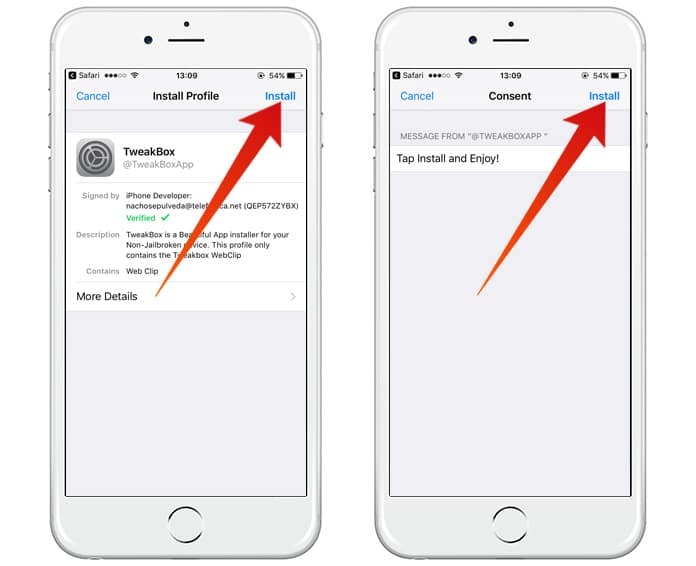 From here you can select an app or tweak to install it on any of your devices. The Tweaked apps are the tweaks that provide more features than the regular versions. The TweakBox app section contains all the apps from the Cydia Store. The App Store Apps section allows you to install the apps that are available on the App Store on your Apple devices.